Yoga retreats are vacations for the mind, body, and spirit. Yoga retreats in Asia are an obvious choice, with so many breathtaking options in spiritual places such as Bali and India. These awesome looking retreats, which each offer a unique array of wellness-centered services, go the extra step of being easy on the eyes, too. This may look like a simple jungle paradise, but don’t be fooled. World-class yoga and luxurious accommodations are just the beginning of what these retreats offer. Participate in a specialized retreat from--like the oh-so-tempting “Escape the World Retreat”—or explore Bali with One World Journeys. These tours take you off the beaten track for an authentic experience of Balinese culture. 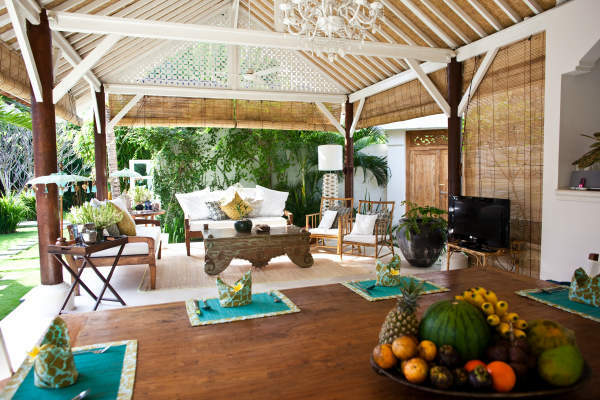 Although you might be tempted to stay in and relax on your ocean-view terrace or splash in your private outdoor rain shower, don’t miss the yoga sessions in this stunning Avani pavilion. They even offer yoga classes that teach breathing and meditation to improve air consumption while scuba diving. Not certified? Not a problem! Their PADI dive courses will get you underwater in no time. This retreat was designed by and for adventurous women, so the sense of camaraderie you’ll find here is unbeatable. After riding the waves with the Rip Curl School of Surf, enjoy a cleansing meal with your new friends in this gorgeous outdoor living area. As for yoga, the Surf Goddess Yoga journey will push you both mentally and physically. Sorry guys—this awesome retreat is for female travelers, so there are no boys allowed. This resort is built around a cave. Picturing bats and creepy-crawlies? Think again! This cave was once a place for Buddhist monks to meditate and find respite from the world. Now transformed into a candle-lit meditation area for guests, you too can take spiritual refuge in this ancient space. 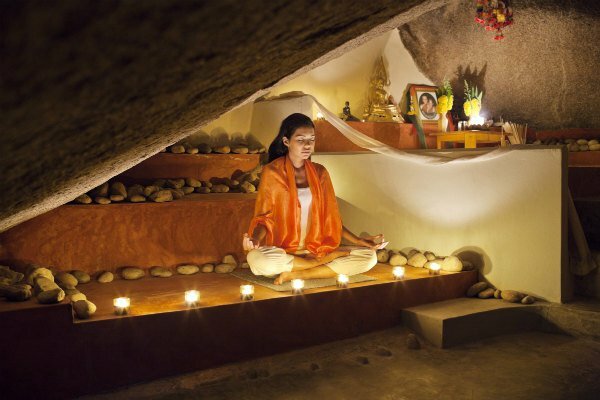 As if a meditation cave isn’t reason enough to visit, they also provide one-on-one yoga sessions to help you meet your personal spiritual, mental, and physical goals. The accommodations at The Sanctuary were designed to make you feel one with nature, as you can tell from the natural materials and living spaces that open right into the treetops. There are tons of activities to take part in beneath the rainforest canopy, too, like their experience-based workshops dubbed “The School of Life” and their yoga teacher training courses. Located on banks of the famous River Ganges, the spa at Ananda in the Himalayas has been rated best in the world by The Telegraph and Travel + Leisure Magazine. Ananda means “peace,” which you’ll surely find through their incredible yoga, spa treatments, and daily Vendanta lectures. 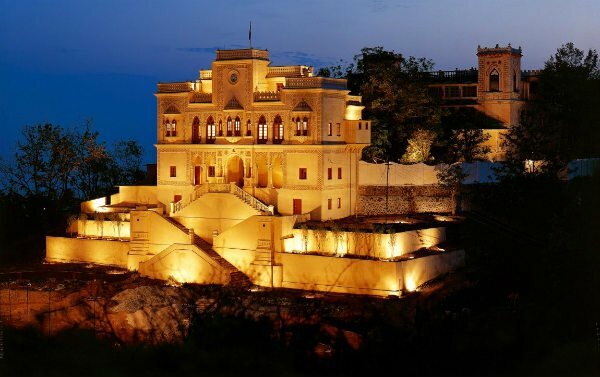 Plus, the resort’s grounds include the royal palace of the Maharaja of Tehri Garhwal. You can even stay in the Viceregal Suite inside the palace’s precincts! 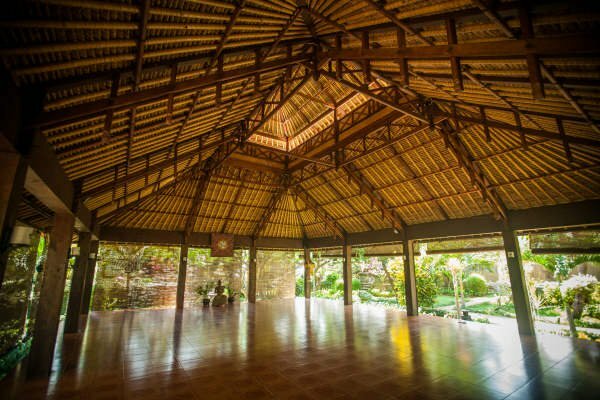 Elemental Yoga Therapy, which is done the way yoga was first taught in ashrams, makes this retreat stand out; you can even become an Elemental Yoga Therapist yourself through their yoga teacher training workshops. This resort also offers some of the most beautiful and varied accommodations we’ve seen, including cozy beach huts, tree houses, and our personal favorite, the bright blue Jodhpur Suite. 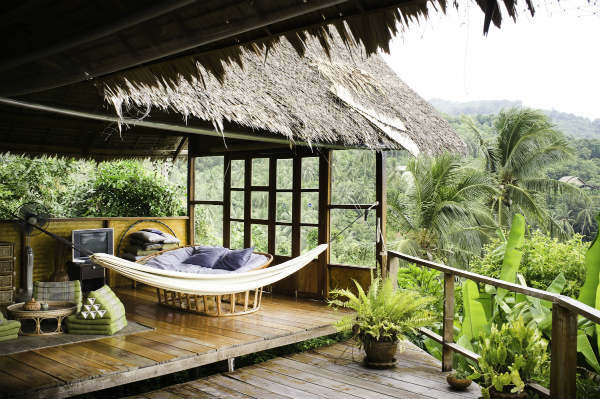 If practicing yoga in a treehouse Swiss Family Robinson-style sounds good to you, check out Atmosphere Resorts in the Philippines. 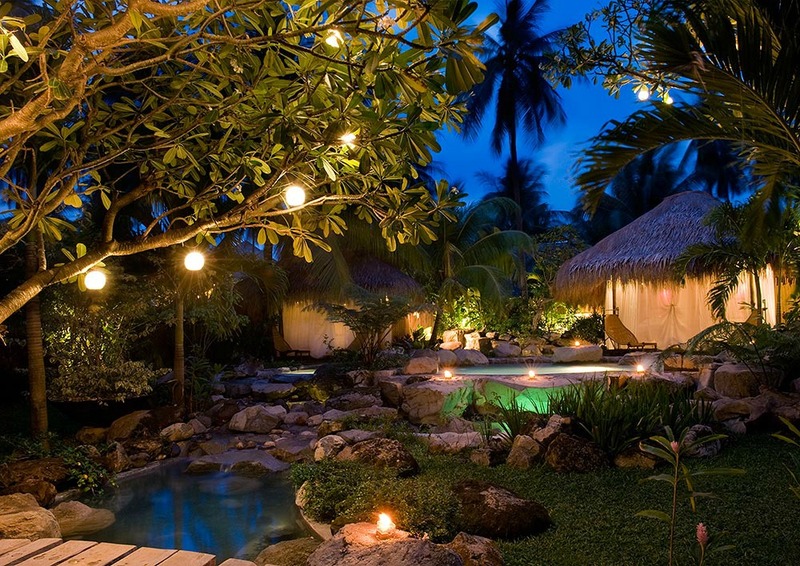 Situated in an old coconut plantation, Atmosphere offers yoga classes, spa treatments, and daily excursions. So when you're finished with your asana practice, you can take a trip to swim with whale sharks! How cool is that? If you're traveling in South East Asia, don't miss the Mandala Ou Resort in Laos. 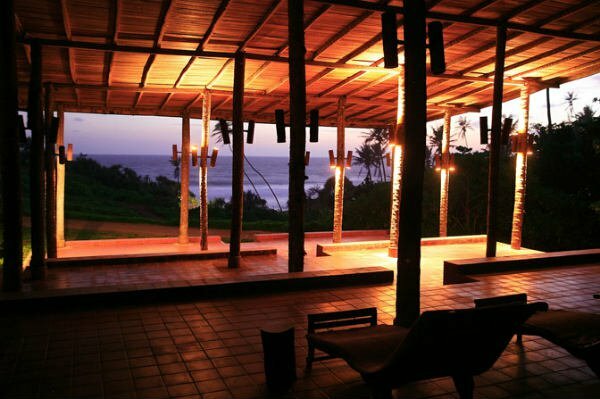 The offer weekend yoga retreats, which will easily fit into your busy schedule. 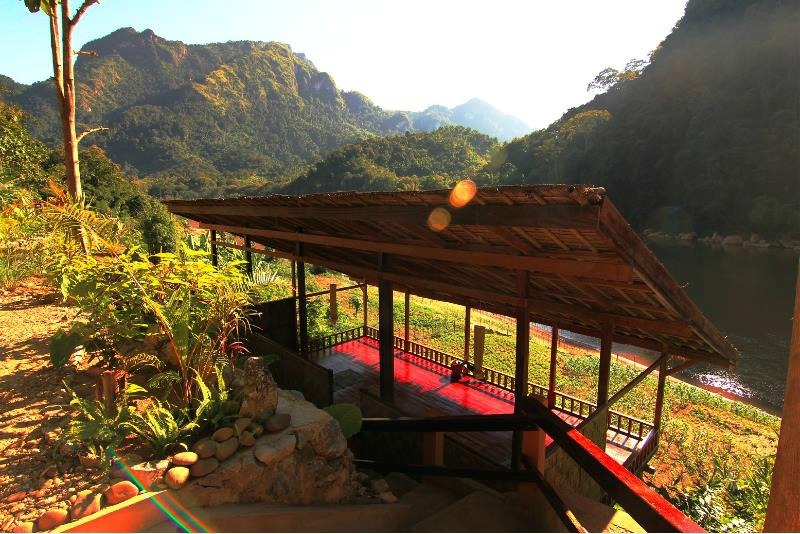 The small yoga shala on the banks of the Nam Ou River offers intimate yoga classes with a stunning view of the cliffs. We can't wait to get there, ourselves! These are just among the many awesome-looking retreats the region. Which of these retreats appealed to you the most? Are there any specific places you’d recommend to the community? Share your thoughts below!